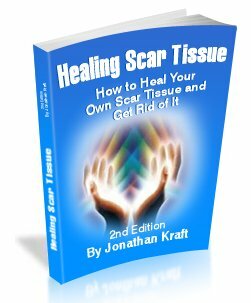 ﻿ Healing Scar Tissue: How to Work With Your Own Scar Tissue and Get Rid of It! How do I get rid of scar tissue? If You Have Scar Tissue Which Causes Pain, Embarrassment, Or Prevents Your Movement, This May Be The Most Important Message You Will Ever Read. As BAD As Your Scar Tissue is Now, And As Permanent As Your Doctor May Have Told You Your Scar Is, And As Much Scarring As You *Think* You Have At The Moment... It can be healed. There is no such thing as "permanent" scarring. You may have had surgery which left marks on your body... or acne which left marks on your body. Or maybe you have internal scarring from old injuries. And you are not alone. Millions of people around the world deal with the negative effects of scar tissue on a daily basis. If you've experienced any of this, I also understand how you feel. When I had 4 surgeries in just 6 years, I experienced a lot of scarring. It hurts, it slows you down, and it can be embarrassing. SCAR TISSUE IS NO FUN! Hi! My name is Jonathan Kraft. I hated my scar tissue. The results of my hernia and appendectomy surgeries stopped me from playing football my senior year in high school. I was embarrassed, first by acne, and then when the acne went away, by the scars which showed up on my face and neck. I experienced a lot of pain with my hernia surgery. (Do you know that when you have any kind of hernia in your body, the standard operation is to install wire mesh in your body?) That mesh poked and prodded me (on the inside of my stomach) for three years, while my body healed around it. ...(especially the pain associated with the mesh from my hernia scar,) I knew that there had to be a way to fix this scarring. The body heals naturally, so why shouldn't scar tissue heal itself naturally as well? That question led me on a LONG journey of trial and error, expensive creams, and even considering more surgery to try to remove the scar tissue which had formed. After years of searching, I finally found the best answer, in an unlikely place. What you're about to find out are the simple methods I first developed when working on my own scar tissue. Jonathan ~ I think it is difficult (with an issue like mine) to know exactly where to massage, and how much to do, etc. But [...] THANK YOU SO MUCH. YOUR CUSTOMER SERVICE IS AMAZING AMAZING!! After I got certified in massage therapy, I was pleased to discover that these same techniques work for my clients. Through these simple steps (which anyone can learn) scar tissue can be reduced, and can even go away completely. "Thank you so much for you time and understanding. Your methods are the most helpful that I have discovered!!" You think the scar is UGLY, painful, or it prevents you from moving. You not touching it, or not moving due to pain, results in hardening of your scar. Hardening of your scar makes it more painful and less movable. More pain and less movement in your scar makes you want to touch it less. Touching it less results in hardening and thickening of your scar. Hardening and thickening of your scar makes it MORE UGLY, more painful, and restricts you EVEN MORE. Or course you can see how this process is REALLY harmful to you. It's a REALLY destructive cycle. I know, because I've experienced it first hand. Your emotions are telling you that parts of your body are ugly, or are less than good. You can heal. Your body can do anything you want to do. If you do not learn to heal your own scarring, you will probably try to ignore it. My name is Jonathan Kraft. I have been a Certified Massage Therapist since March, 2001. At first, I discovered in my own massage practice that I REALLY had a way to help people FIX themselves and the problems they were encountering with scar tissue. So I wrote an article about how to heal scar tissue, and posted it online. I received 5-8 emails and 1-2 phone calls every week from people who had read that article. I was shocked by 5-8 emails and 2 or 3 phone calls every week from people wanting the knowledge that I was sharing. People wanted to know how to break down scar tissue from certain kinds of trauma. They, like you, wanted more specific help. I was simply overwhelmed. I didn't have the time to answer all of the phone calls and emails. But I wanted to help. about how to heal your own scar tissue through massage. And although there are some books out about self-healing, there really isn't a good book that shows you, step-by-step, how to work with and deal with scar tissue. So I wrote this book for people like us. People who need to heal their own scar tissue simply and permanently. Of course you want something different for your future. That's why you're on this page. So, why hasn't your doctor suggested these methods to you? And if there is information that can help you, but the doctor is not going to be paid by the insurance company to help you fix your problem, then some doctors are not going to share that information with you. It is a shame, but we know that's the truth. Many times, your doctor wants to cut it out (surgery), prescribe some heavy-duty cream which costs more than $100 every month, or they simply tell you that it's scar tissue, and there's very little you can do about it. Some doctors will even tell you that massaging and moving the tissue will make it worse. Once you know the simple steps for how to move your body, and how these methods can help you heal your scars, and apply that knowledge, you can and will heal much faster than the average person. So to be of the most help to the most people possible, and to share this knowledge with the world, I've written a book. This book is for people like us. People who need to heal their scar tissue, and who need things explained in simple terms, using pictures and descriptions to make things easy to understand. This book is a compilation of over 1,025 hours of research and my experiences in helping real people to heal their real scars. How To Heal Your Own Scar Tissue... And Get Rid Of It! This is a simple system that works for people like you and me. While browsing the Internet on scar tissue - I came up with your site. I've been searching for a few months and this was the first time I saw your site. I had knee replacement 8 months ago and I can still feel the implant. The surgeon said that everything is fine and is it probably scar tissue. He said other than moving the knee - (he didn't give any more specific exercises) - there was nothing to be done. I was so upset when he said this. He is a top doctor in my area and I was shocked that there is nothing he can do. All other sites I've seen on scar tissue just talk about the inability to bend the knee - which I can do to some degree. I made copies of your articles and will re-read them. Additionally, your book has been so great. At least I know there is some hope with massage therapy which I was never told to do, and your book has taught me how to do this for myself, which again, has been so great. I'm hardly noticing any pain from my scar now. Healing Scar Tissue: How To Heal Your Own Scar Tissue And Get Rid Of It is your complete system for healing your scar tissue. It is divided into three parts. And it's really designed to help you, through a humorous approach (after all, laughter is the best medicine), to work through the scar tissue in your body. Your system is in electronic format. This means that when you download it today, you can get started on your healing right now! Here are what the three parts of the system cover. Part I. "Hey, How DID This Happen?" Why do you have scar tissue? What is scar tissue?By having an understanding of what scar tissue is, you know what it's doing in your body, how it's created, and why it gets lumpy. Using this as a basis for the rest of the discussion, you can know what's actually going on when scar tissue forms. Then, you'll learn that scarring is a function of what's going on with you physically, as well as what's going on with you psychologically. Healing goes beyond what's going on with your body physically, and you can learn how harness the power of your mind in the healing process. How can you work with your scar tissue? The information provided is really helpful. I've been looking for some info on self healing, both internal and external healing, and yours is among the best. Continued success to you. Take care! Part II. "Hey, I Need to Know!" I tore a muscle when I was in Jr. High when my coach was introducing me to weight training. Doing bench presses, he added weights with each pump. I felt something pop in my right shoulder and I had to have the spotter take the bar bell away before I dropped it. It hurt initially but I had not used that muscle much so I don't notice it much. Once in a while when doing push ups or lifting above my head. More recently I have been working with weight more and I have started to notice a tightness and pain in my shoulder. It makes it difficult to do minor work using those muscles only. A while back I had heard my dad mention scar tissue in muscle injury and that prompted me to find your site. I have read your book and I agree with the physiology of it and the nature of scar tissue. I will massage my shoulder and try to (if anything) loosen up the tendons as well as stretch, as that is when it has the most sensation...but bottom line is I have increased my range of motion[...] So thank you for writing How To Heal Your Own Scar Tissue, it was very informative and changed my outlook on my ability to heal. Part III. "Hey, I'm busy!" Part 3 deals works with your busy life. One challenge you may face when trying to improve your health and well-being is that it takes more time to stretch, massage, and eat healthy. You may want to make changes to improve your health, but due to your limited time, you might feel like that's not something you can do. Your system concludes with ways that you can use massage and stretching as you go a taught in Part II, without interrupting your life. This is a necessary and very important part of the system. This allows you to create healing in your body without changing your life and schedule. So, now that you have seen what the system is, and what it's does, you might be ready to go ahead and give it a try. Click here to download your system and your healing today! You and I both know that a lot of what is currently being done in medicine encourages people to pop pills to fix problems. In most scar tissue cases, pills are like putting band-aids on a gunshot wound. If your doctor's advice for your scar tissue was a pill, then you're not fixing the underlying problem. This system is going to give you a solution that will really work for you. This is designed to let you be the "normal" you. You think you can go to the doctor and have them try to remove your scar tissue by cutting it out. Depending on your insurance, a hospital visit and surgery could be costly for you. And, even if your insurance picks up the cost of the surgery, you are taking a knife to your body. Every time you take a knife to your body, there is a chance that more damage will be done, and there is always a necessary period for recovery. How much will that recovery time cost you in terms of time off from your work? How much will the recovery time cost you in terms of enjoyment missed with your family and friends? You would prefer to hide your scar using make-up or clothing. But if your scarring is in a very obvious place, you will not be able to cover it up completely. And, if your scarring is preventing your movement, no amount of clothing or make-up will help you fix it. completely. And, if your scarring is preventing your movement, no amount of clothing or make-up will help you fix it. You can have some sort of cosmetic surgery to correct your scar tissue. There are some very good cosmetic surgeons, and some who are (let's just say) not so good. Most cosmetic surgery is not covered by most insurance. A good surgeon will charge upwards of $3,500.00 to do a scar removal. (Depending on your scar) That could be a baseline starting price. Again, there's no guarantee that cosmetic surgery won't give you more scars (you are, after all, taking a knife to the body), and again, you will have a period of recovery which can last as long as 6 months to a year. You can go and buy some ridiculously expensive cream or gel. Most of these creams and gels are marked-up versions of things you can buy in your local grocery store. There are some that are very good. But if none of those options sound like something you want to do, then you have one other option. You can do what I did. Go to school and learn how to use professional massage techniques. Set aside the $6,000 and 500 (or more) hours it takes to become certified in massage therapy. You can then spend an additional 250 hours working on clients, helping them through their own scarring and pain. You can then spend an additional 200 hours doing research on how scar tissue forms, what causes different types of scarring to occur, and research the best methods for breaking up the scarring. You can then spend an additional 100 hours trying these methods on your clients to see what works and what doesn't. Again, this system is designed for people like us, who just want straightforward, step-by-step helpful information. You get to take my 1,025+ hours of learning, studying, and practicing these techniques, and start using them today. "How much does a system like this cost?" How much will that be worth to you? Your system (available right below here) is like having a series of one-on-one appointments with me, coaching and guiding you through your scar tissue healing. That has been worth a lot to my clients. Your system, available right below here is only $75 $37. with me and the system you're about to own? This system will empower you to work on yourself, whenever, and wherever. You will save money because once you learn these techniques, you won't pay over and over again for healing - you'll pay now, then learn these simple methods, and healing your own scarring will come to you naturally. This system is like bringing me to you, at a fraction of the cost of what it would cost to actually bring me to you. When you learn and apply these techniques, you will see that "Healing Scar Tissue: How to Heal Your Own Scar Tissue... And Get Rid of It" is definitely worth significantly more than you've especially when you put this system to work for you. Go ahead and invest in your healing by clicking the book below. You leave this page, and it's REALLY not likely that you're coming back. Life will get in the way, YouTube.com and TV shows like Lost and Heroes will have your attention. A year down the road you'll be sitting somewhere. You will notice your scar. What if I had gotten those techniques for healing my scar tissue? Would this scar be gone today? Would I have been able to enjoy my life if I had taken action and decided to heal myself? Would could my results have been? Don't live in the world of "What if?..." Live in the world of "I did." Let me help you to do this. One of the ways I'm going to help you is to include some things with the ebook which will maximize your results. Along with the ebook, these bonuses include information and tools that are relevant, and will do as much as the How To Heal Your Own Scar Tissue And Get Rid Of It System to help your healing. Below are the bonuses you get because you own "How to Work With Your Own Scar Tissue to Get Rid of It!". Healing, and a healthy lifestyle, requires the right actions. Performing the right actions is created by having the right habits. Habits are dictated by attitude. The right attitude is created by having the right philosophy. I know of NO better book to help you get the *RIGHT* philosophy than Napoleon Hill's "Think and Grow Rich." So, I've gotten permission to include a digital copy of this book, just for you, completely FREE. Even if you decide to request your money back for ANY reason, BONUS #1 ebook is yours to keep forever, GUARANTEED! Someone told me that they needed more information on how to focus their thoughts, as they relate to health and healing. I found. James Allen wrote a book on how your thoughts affect everything in your life. This book was appropriately named "As A Man Thinketh." And by "Man", he means "mankind." NO MATTER WHAT your doctor may have told you! Even if you decide to request your money back for ANY reason, BONUS #2 ebook is yours to keep forever, GUARANTEED! Then I was contacted by someone who said that they wanted to purchase the eBook, but simply didn't have time to sit down and read the whole thing. So, I recorded the book for you! 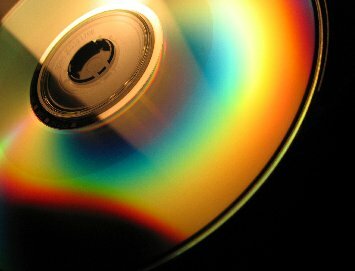 Have you ever listened to a book on CD? If you have, you know that the book is always better when it's been read by the author, as opposed to someone else. So, I've recorded the ENTIRE book for you, into a. Mp3 file. You get the ENTIRE Audio Version of "How To Heal Your Own Scar Tissue And Get Rid Of IT!" NEARLY 3 HOURS OF AUDIO, FOR YOUR CONVENIENCE! Read the book (by listening to it) without actually taking the (physical) book with you! Even if you decide to request your money back for ANY reason, BONUS #3 MP3's are yours to keep forever, GUARANTEED! I still appreciate you may be on the fence about whether or not to invest in this system. You might be thinking that this is too good to be true. "My doctor told me I can't heal my scar tissue." But you might still be asking if this will really heal your scar tissue. Well, you will get my knowledge and years of summarized research by using this system, and you will know the amazing results it has had for people who have been in the exact same situations with their scar tissue as you are now. This can help you, because it has helped so many people already. If you've been reading the page up to this point, you already know that there is a guarantee. This is my personal - iron clad - no quibble - no hard feelings - total and complete 100% guarantee. Let's just say, for whatever other reason, you simply decide that this book isn't for you. I personally guarantee that if, after a full 30 days, you honestly believe that How to Heal Your Own Scar Tissue isn't for you, for any reason at all, then let me know and I'll issue you a prompt and courteous refund. Plus, you will get to keep your system and bonuses. You get to try out How to Heal Your Own Scar Tissue at my risk, while you see if it works for you or not. And, if you don't see results from using the techniques in the ebook and audio, I want you to ask for your money back. There is absolutely no risk, whatsoever, on your part. The burden to deliver is entirely on me. If you don't get results while using these techniques and working on scar tissue in different parts of your body - then I really do want to get the money back into your wallet as quick as possible. I know this system works. Hundreds of people and my own experience have proven it. But if it doesn't work for you, then just ask, and I'll issue you a prompt and courteous refund. Finally have the mobility back that you once had? Show family, friends, or a loved one how much your body had improved? Be able to go out for a night on the town without any feeling of embarrassment? Never again hide your scar under make-up or clothing? Be able to get up in the morning and stretch, without feeling any pain? Have such a complete recovery from marks on your skin that you would forget where that old scar was, and actually have to look for it in pictures? I want to help you to do all of this, and much more. Decide that today is the time for you to heal your scar tissue. For a tiny investment (plus the above guarantee) isn't it worth it to give it a try? 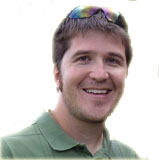 "Jonathan, your book changed my perspective on life..."
"Thank-you so much for what you have enabled me to do!" And then they go on (as you've seen on this page) to tell me how the techniques in the book helped them to lead better lives, be more intimate with their partner, get back what they once had, and become the people they want to be. I look forward to receiving your letter! When investing in this system, if you decide that it's not for you, for any reason, I will gladly refund your investment. Right now, the only place you can get this book (with all of these bonuses) is on this web site. This is really the best information I know of to help you get rid of your scar tissue. Use this information, and just see what it can do to improve your life. Most importantly, more than anything else, you will receive the opportunity to really heal! I look forward to having the opportunity, six months or a year from now, to receive your letter! How to get rid of scar tissue on the face?